As I study the history of Christianity, I came across some of the significant heresies that arose during the second and third centuries. I also read about the apostolic church fathers who defended the Faith from the heretics while at the same time clarifying its doctrines. Two of the major heresies during that time were Gnosticism and Marcionism. Gnosticism comes from the Greek word “gnosis” meaning knowledge. Proponents of this heretical teaching posit that there are only certain persons who are endowed with a special mystical knowledge from God thereby entrusted with some special revelation. Moreover, they came to the conclusion that all matter is evil, or at best unreal. Gnosticism was a very dangerous as it denies several crucial Christian doctrines such as creation, incarnation, and resurrection. Among the most significant, if not the most significant, findings of the previous century were the manuscripts located inside the Qumran caves near the Dead Sea, from which it gets its name, The Dead Sea Scrolls. Archaeologists believe that these were the domicile of either the Jewish sect known as the Essenes or the Gnostic monks. Along with the oldest extant manuscript of Isaiah, were also found copies of Gnostic scriptures. The other heresy of the period, variations of which still linger in the 21st century, is Marcionism whose founder was Marcion, a son of the bishop of Sinope in Pontus. Similar to the Gnostics, he had a profound dislike towards both Judaism and the material world. After gathering a following, he founded his own church, which lasted for several centuries as a rival to the orthodox Christian church. Marcion was convinced that the material world is evil and that its creator is likewise evil or ignorant. Thus, Marcion claimed that the God of the Old Testament is different from the Father of Jesus Christ, the God of what we now refer to as the New Testament. The rise of these heresies necessitated the response of the One, Holy, Catholic and Apostolic Church. This response came in the form of a canonized Scripture, creed, and apostolic succession. In fact, a close scrutiny of what we call the “Apostles’ Creed” shows that this early creed is directed against Marcion and the Gnostics, specifically when it referred to God as the “Almighty” (Gk. “pantokrator), not to mention its extensive paragraph dealing with the nature of the Son, Jesus Christ. It was therefore during period that certain leaders of the Church, those we refer to as the early “apostolic church fathers”. 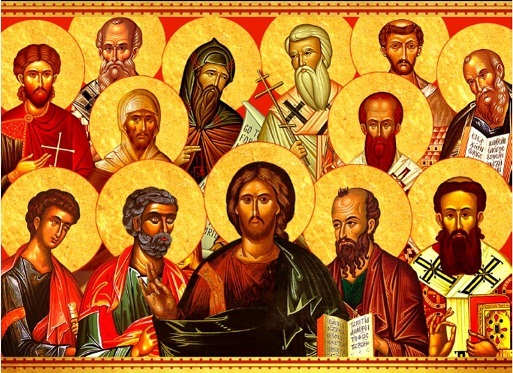 These church fathers include Irenaeus of Lyons, Clement of Alexandria, Tertullian of Carthage and Origen of Alexandria. As bishops, pastors and teachers of the church, they wrote extensive expositions of the orthodox Christian Faith in response to the heretical teachings of the Gnostics and Marcion. Thus, we could say that the presence of heresies and heretics drove some church elders to expound on the orthodox doctrines of Christianity thereby enriching the deposit of Faith for the benefit of not only those who were alive during that time, but to those of us who call ourselves Christians in the 21st century and beyond.